Magna Carta Committee Chairman Nicholas Cowdery AM QC’s paper from the Magna Carta Symposium has been published in the June Issue of the Law Society of NSW Journal (LSJ). 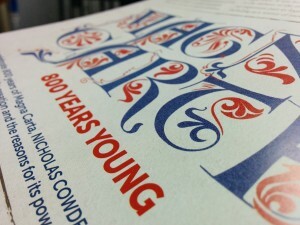 His article ‘800 Years of Magna Carta’ details the bloodshed and tyranny behind the creation of the Magna Carta and examines its powerful and enduring legacy. 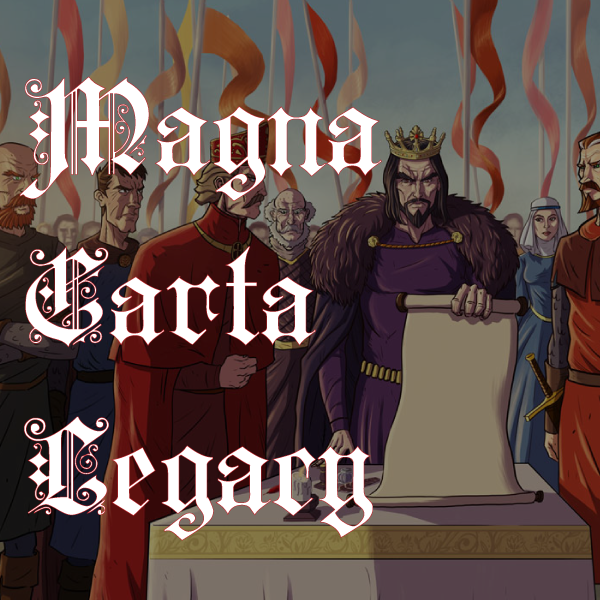 He discusses why the Magna Carta itself has endured, and why the ideas it set out are still just as important today. 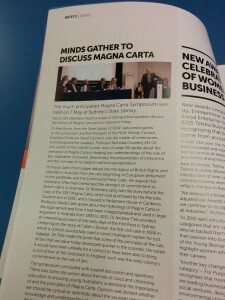 The LSJ also features an article about the Magna Carta Symposium run by the NSW History Council at the State Library of NSW, for which the Committee was the sponsor. The June edition of the Law Society Journal will be available online soon.